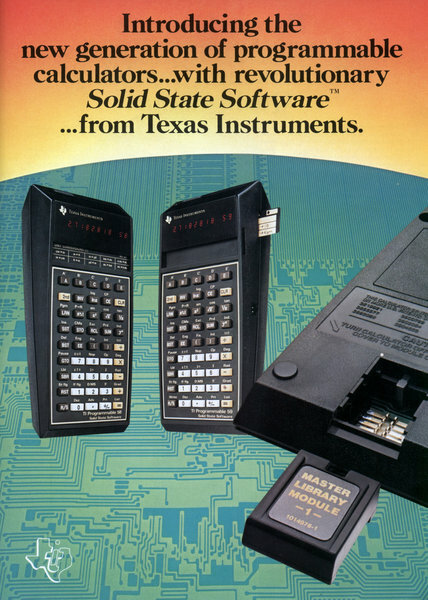 Programmable calculators with revolutionary Solid State Software... from Texas Instruments. There they sit. 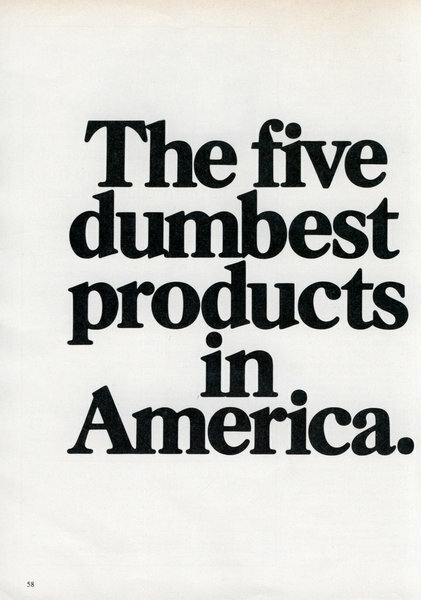 Five products with no intelligence whatever. And you can't blame the people who made them. 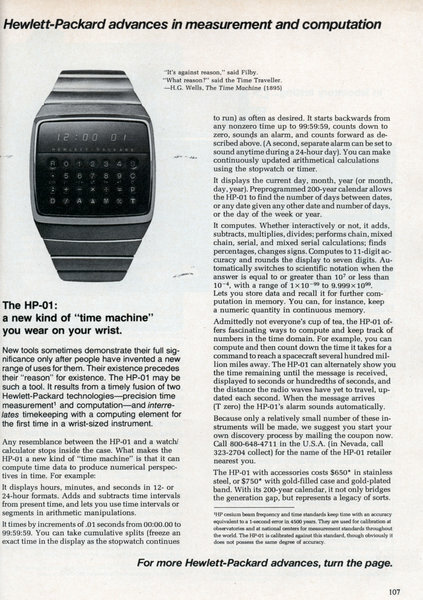 Because until now, nobody had the technology to make these products actually think. 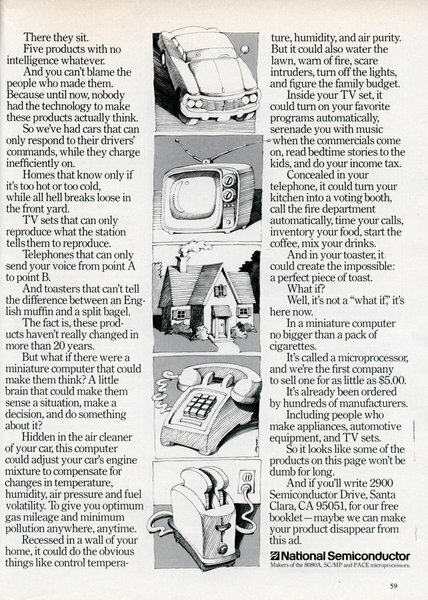 So we've had cars that can only respond to their drivers' commands, while they charge inefficiently on. The basis for continuing innovation. 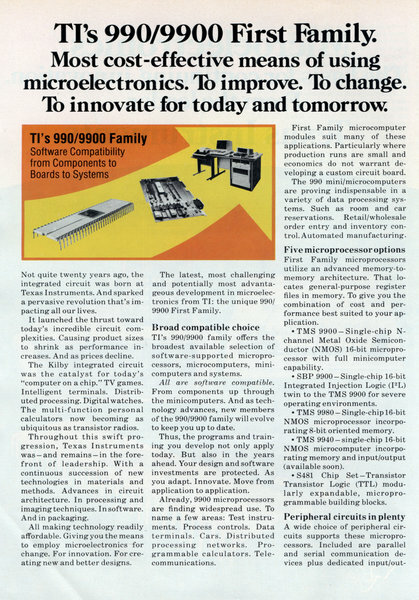 From the leader... TIs 990/9900 First Family. Most cost-effective means of using microelectronics. To improve. To change. 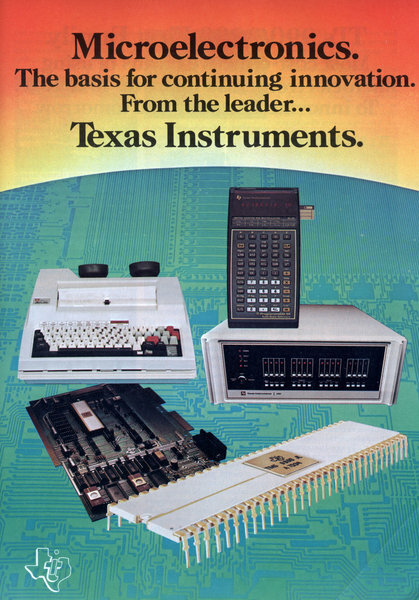 lb innovate for today and tomorrow Tl's 990/9900 Family Software Compatibility from Components to Boards to Systems Not quite twenty years ago, the integrated circuit was born at Texas Instruments. And sparked a pervasive revolution that's impacting all our lives. 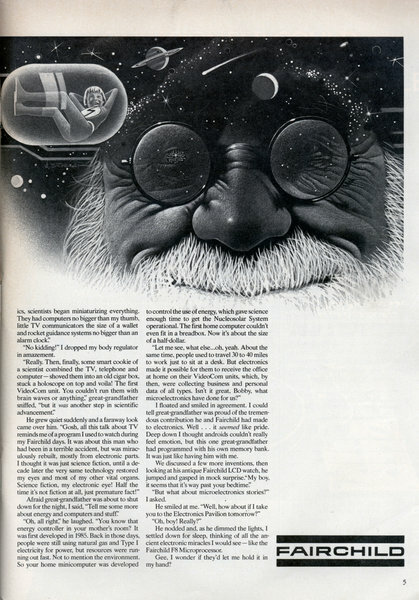 "Science Fiction, my electronic eye." great-grandfather said. "Half the time it's not fiction at all, just premature fact." by Boni Peluso "Well, Bobby, how about a story before bedtime?" great-grandfather asked as he tucked me snugly into my weightless bubble. "Oh, yes tell me some more about the old days and what they were like." He smiled and squeezed my arm. "OK son, I know just the thing. Long ago, back in 1999, I was being transferred from a unit control center in the New City to Space Station Zenith 1. While packing I found an old, old copy of Scientific American. 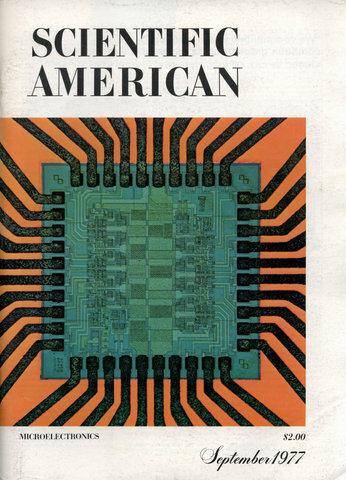 It was yellow and rumpled and dated â€” imagine thisâ€”September 1977! At that time periodicals were printed on sheets of wood pulp!' "Wow! No playback cards?" The home computer that's ready to work, play and grow with you. Clear the kitchen table. Bring in the color T.V. 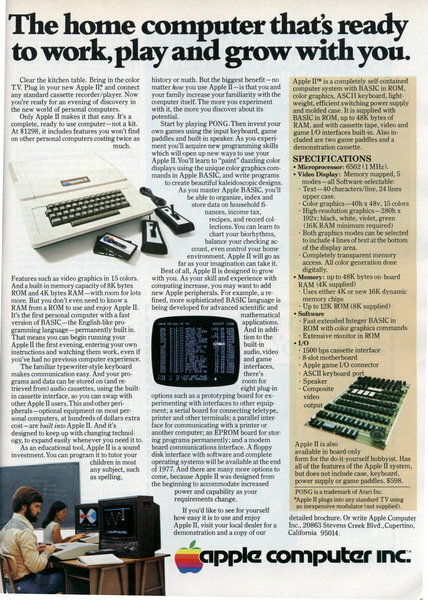 Plug in your new Apple II? and connect any standard cassette recorder/player. 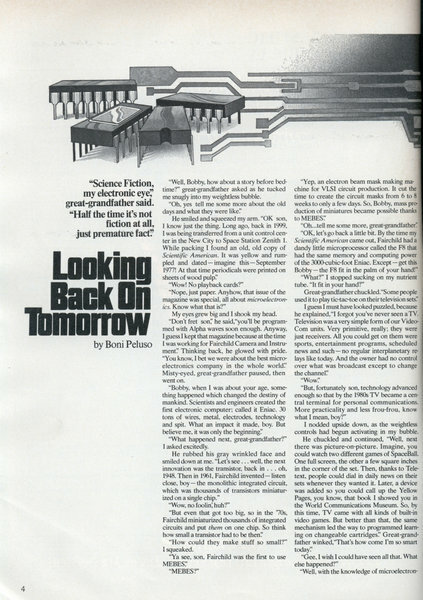 Now you're ready for an evening of discovery in the new world of personal computers. 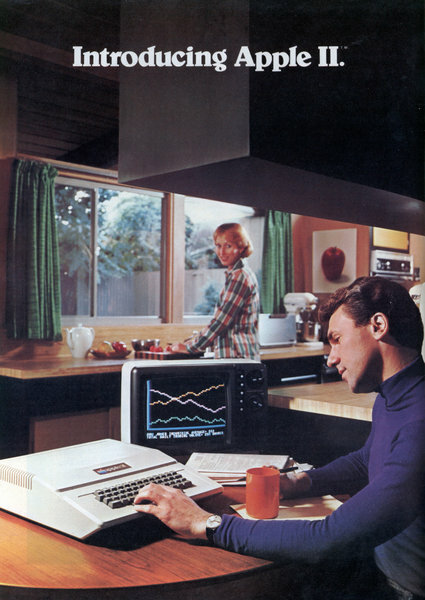 Only Apple II makes it that easy. 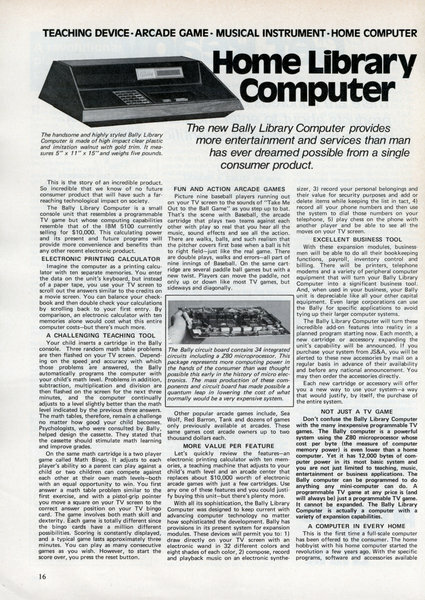 It's a complete, ready to use computerâ€”not a kit. 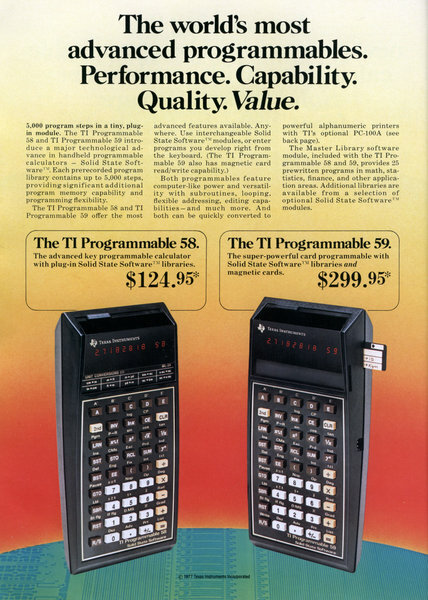 At $1298, it includes features you won't find on other personal computers costing twice as much. 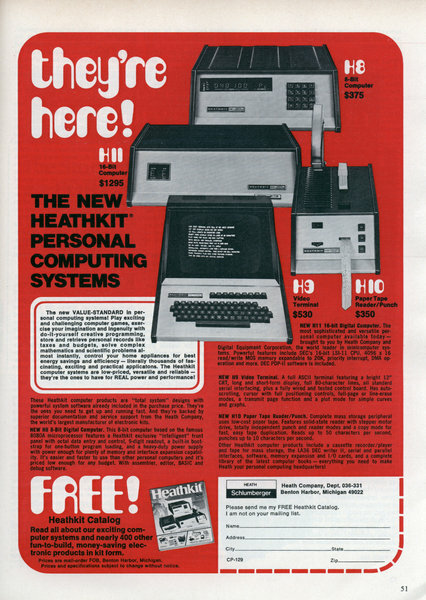 H8: 8-bit Computer $375 H11: 16-bit Computer H9: Video Terminal H10: Paper Tape Reader/Punch The new VALUE-STANDARD in personal computing systems! Play exciting and challenging computer games, exercise your imagination and ingenuity with do-it-yourself creative programming, store and retrieve personal records like taxes and budgets, solve complex mathematics and scientific problems almost instantly, control your home appliances for best energy savings and efficiency â€” literally thousands of fascinating, exciting and practical applicatons. 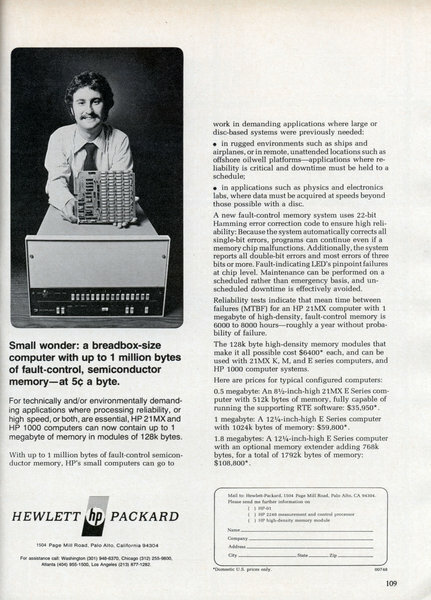 The Heathkit computer systems are low-priced, versatile and reliable â€” they're the ones to have for REAL power and performance!